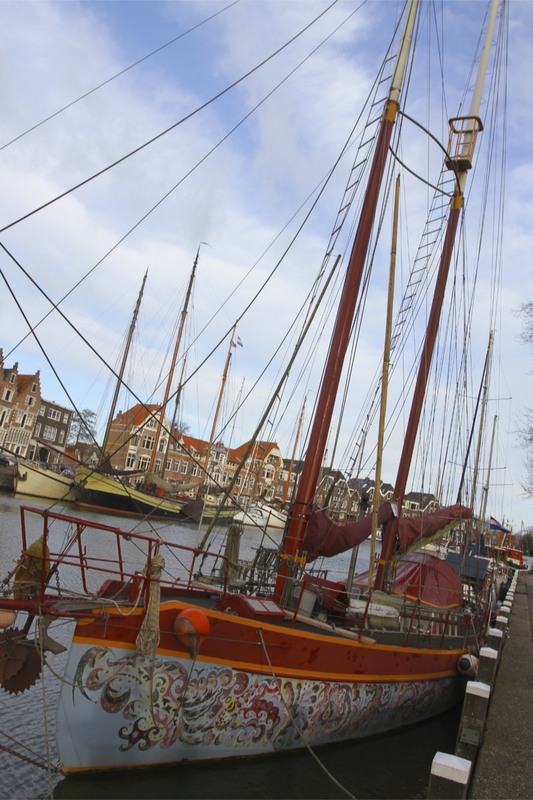 The lovely town of Hoorn became wealthy and famous thanks to its position on the former Zuider Zee, an arm of the North Sea that gave ships access to the Baltic in the 15th Century. 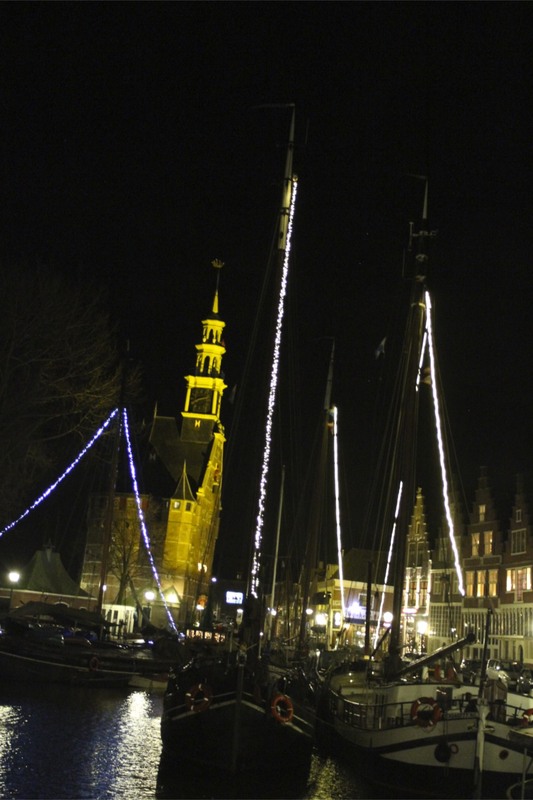 By the 17th Century Hoorn was a centre of global trade as one of the major ports of the Dutch East India Company. 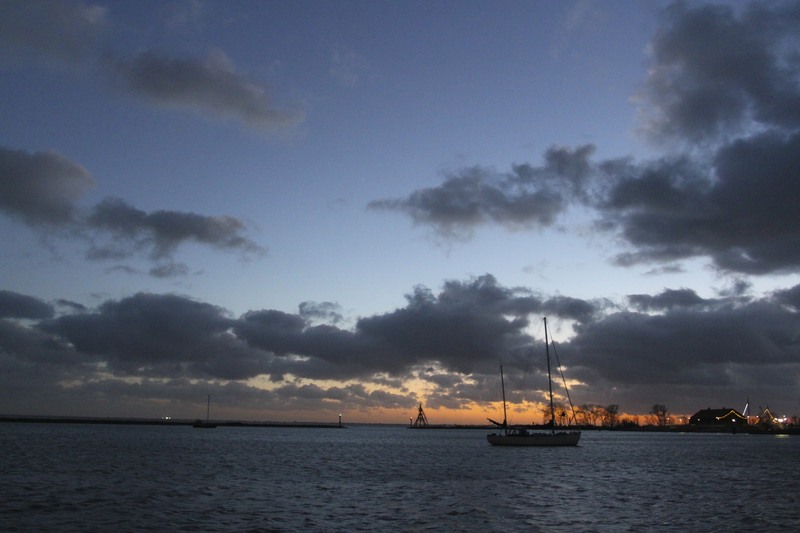 It was during the Dutch golden Age that the town gave its name to Cape Horn, the most southerly tip of the Americas. 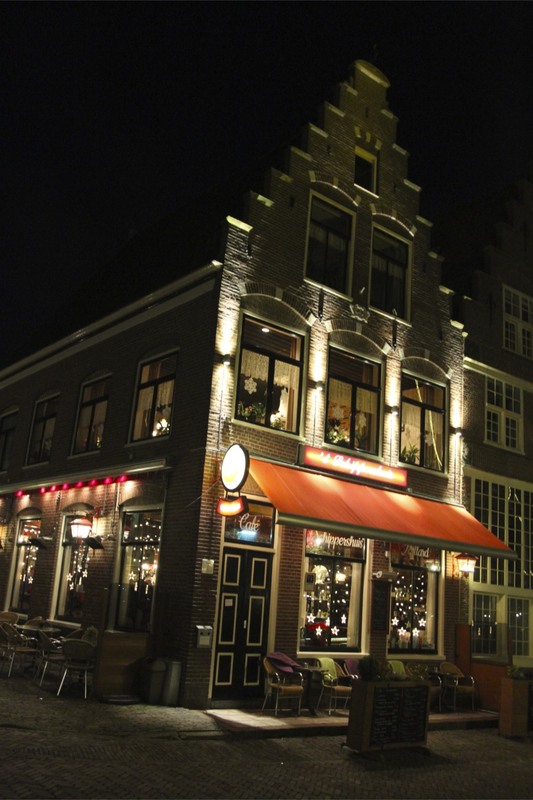 It might be hard to guess at today, but for a small place Hoorn has an extraordinary history. 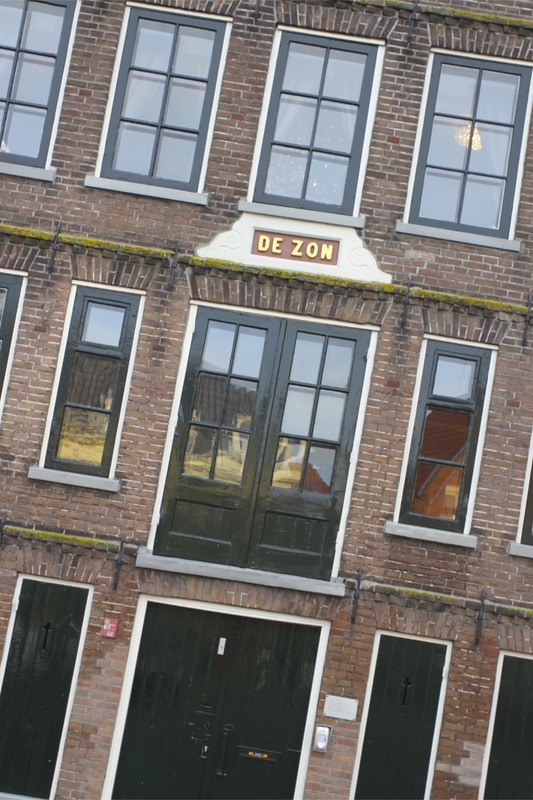 When the Zuider Zee silted up in the 18th Century Hoorn’s importance faded and its port, which in former times saw ships arrive from the furthest corners of the globe, became a backwater. 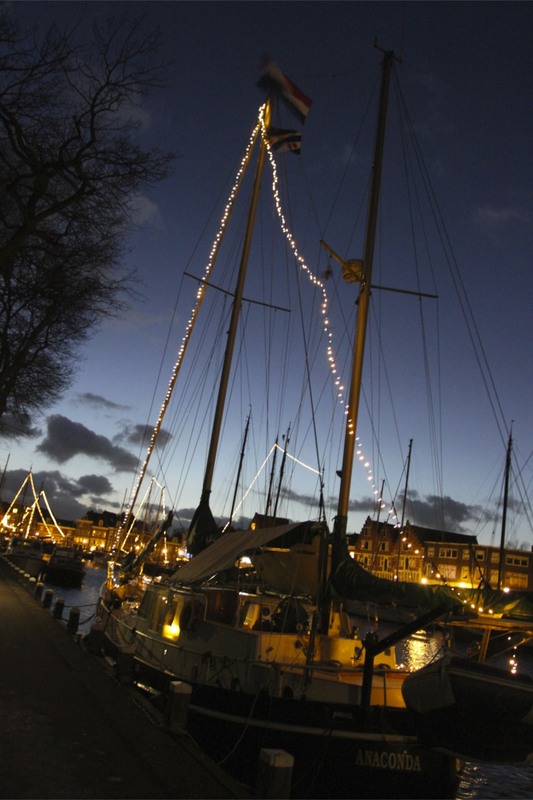 Everything about the town points to the water and many sailing boats still sit at anchor in the multiple harbours. 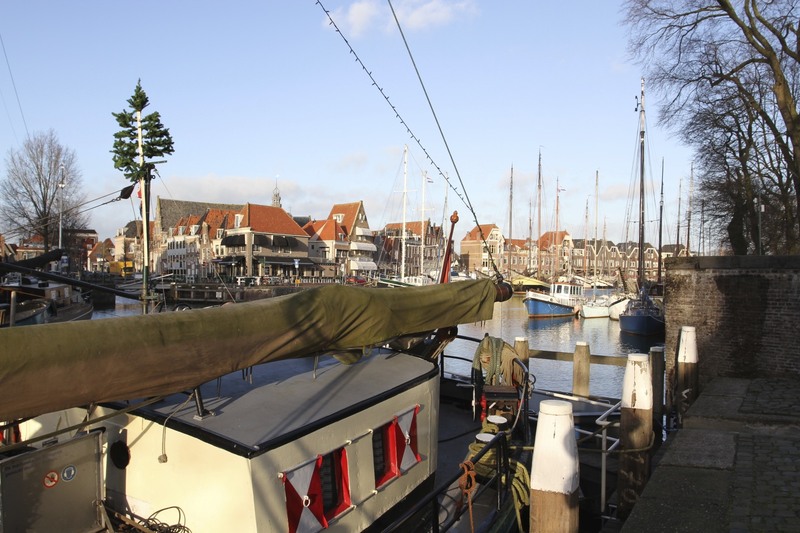 The boats still have access to the old Zuider Zee but today most of them are used for sailing the landlocked IJsselmeer lake. The lake was created by the building of the Afsluitdijk to seal off the Zuider Zee from the open ocean. 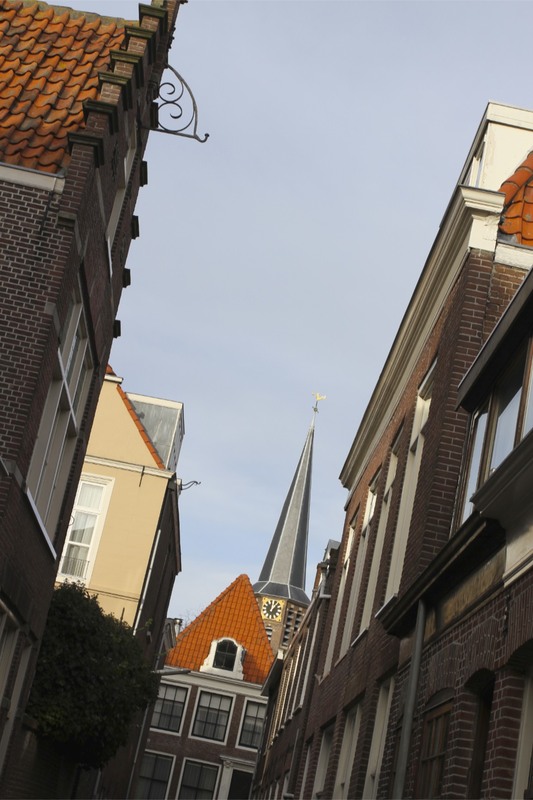 The towns former wealth is obvious as you wander streets lined with historic houses, centuries-old churches and reminders of the former sea trade. On a canal near the port the road name gave a hint of the former trade in this part of town. 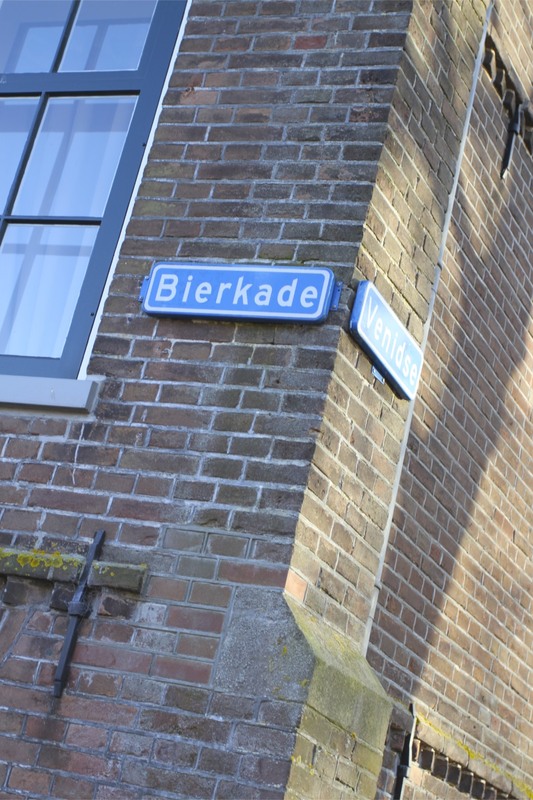 Hoorn is located close to the German border, Bierkade is where German-made larger beers were offloaded into warehouses. 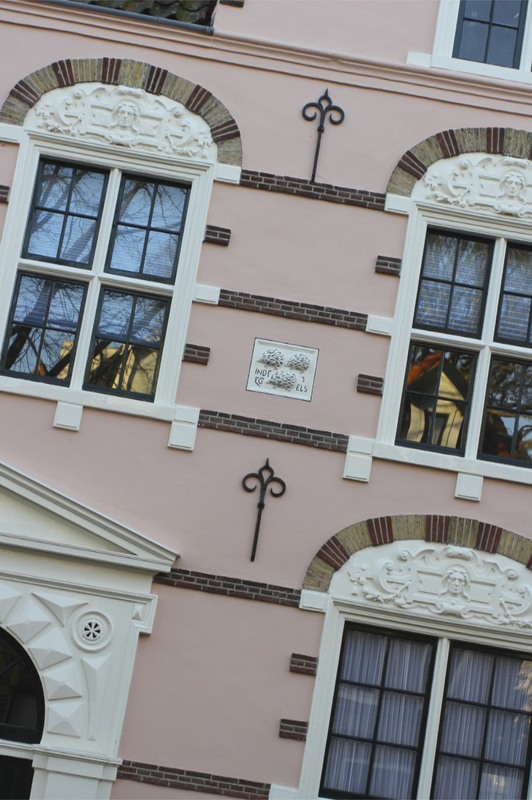 I came across a pink house with three hedgehogs high above the door. This, it turned out, was the former home of a wealthy merchant family and the three hedgehogs their official coat of arms. 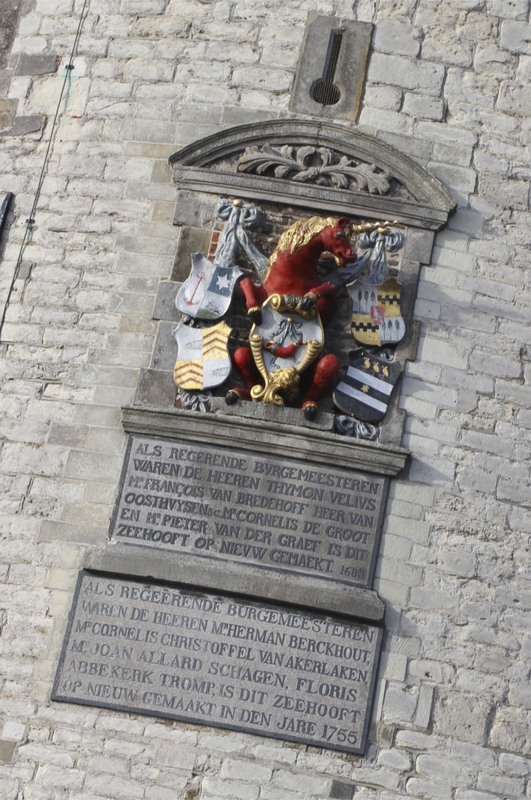 Hedgehogs seem quite normal when you consider that the official coat of arms of Hoorn is a red horse with a golden horn (which I suppose makes it a red unicorn). 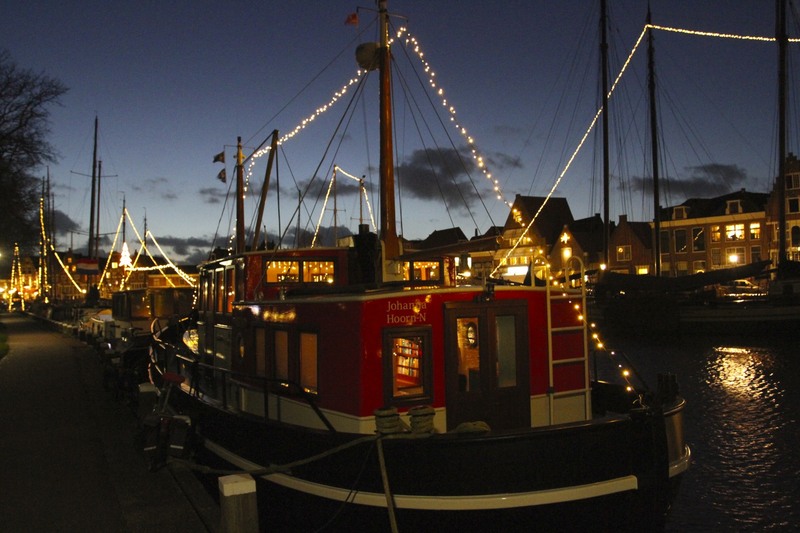 Hoorn’s decline as a sea port saw it turn its attention inland and become a centre for agricultural trade, but it never regained its former glory. 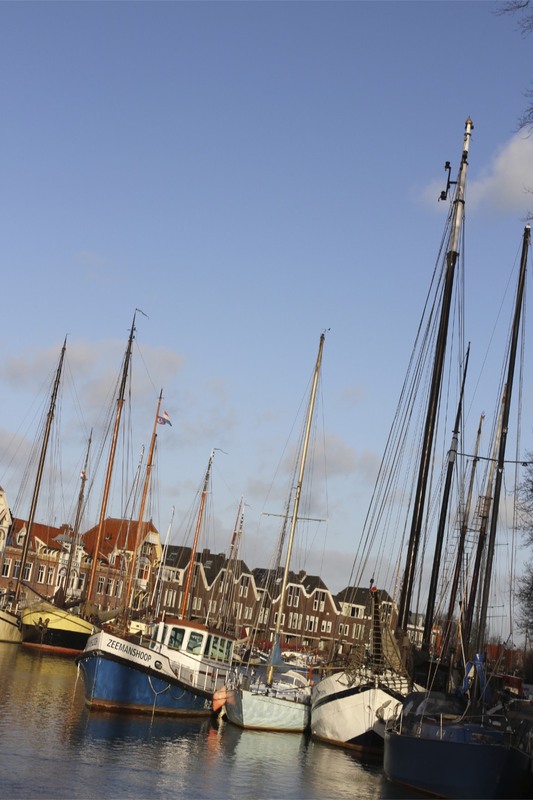 Today tourism adds significantly to the economic mix of the town, including many people from Amsterdam coming to sail boats and swap the city for the sea breezes coming off the former Zuider Zee. Visiting in winter, the sun descended early and a biting cold followed in its wake. 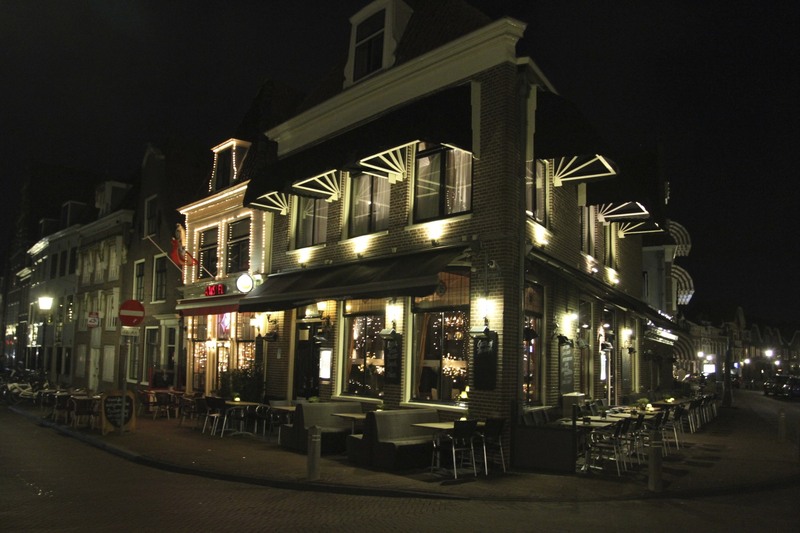 Luckily, Hoorn has a host of pleasant restaurants and lively bars that welcome you off the street with a warming glass or two. 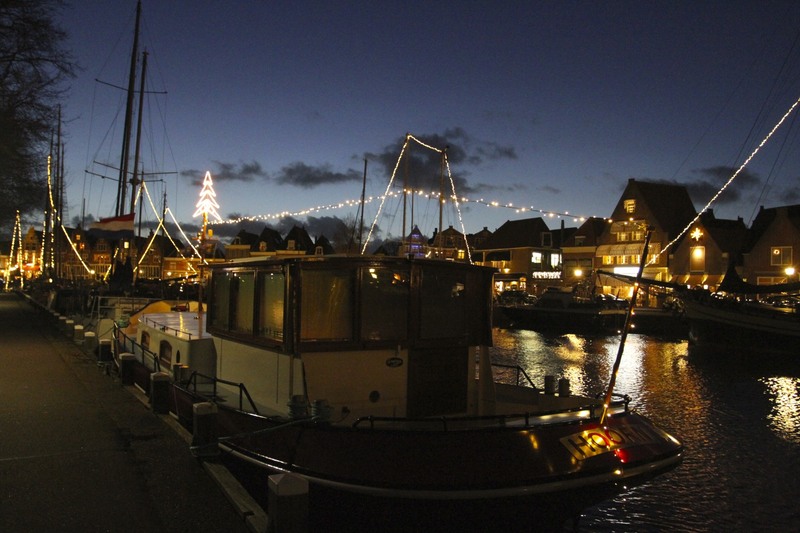 After I’d warmed my bones I took another stroll around the harbour and then meandered back to the train station. 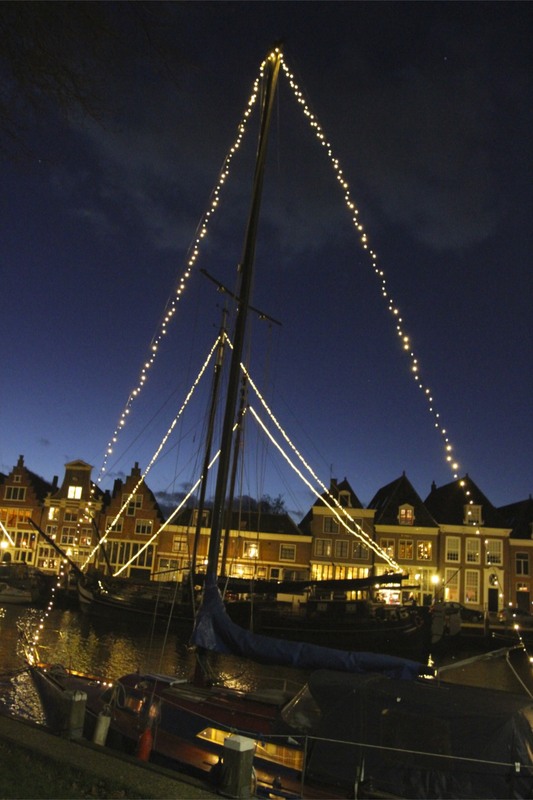 As if by magic, ships in the harbour had been transformed with nightfall; many of the boats had seasonal lights illuminating their masts and strung around their hulls. It made the town even more atmospheric. 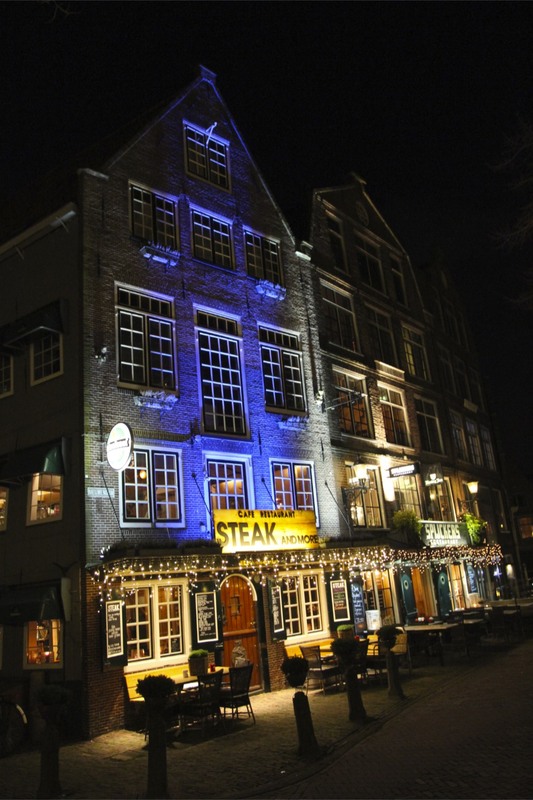 Went back to Amsterdam a coupla years and found a city transformed. The Dutch have certainly taken care of their place in the past 20-30 years. The truth is I only go out when it’s sunny! There are plenty of days where ‘bleak’ is an apt word, especially this time of year…and this must be the windiest country on the planet. It’s remarkable how well preserved many historic towns are, they seem to have got the right balance between gentrification for tourism and living cities – not an easy balance to achieve. Nice city! Never been there, but it looks nice! It’s a lovely place. I’d like to see it in summer when it isn’t quite so chilly! I bet the sunsets over the lake are beautiful.